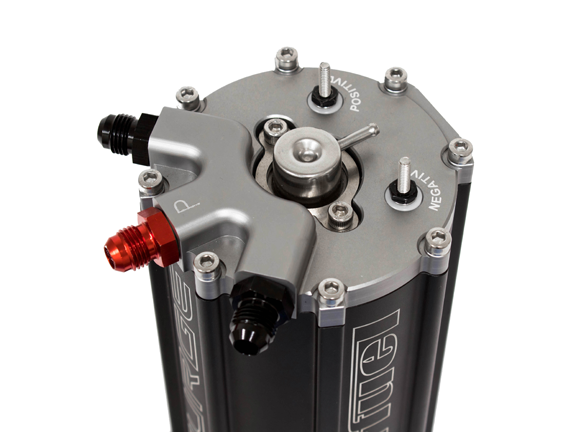 FiTech Fuel Injection now offers the Hyperfuel™ Single Pump Regulated G-Surge Tank, designed to be used in vehicles that have fuel starvation issues when being used in extreme lateral G-force environments. Typically, this is due to poor fuel tank baffling in the existing fuel tank. The G-Surge eliminates that problem. 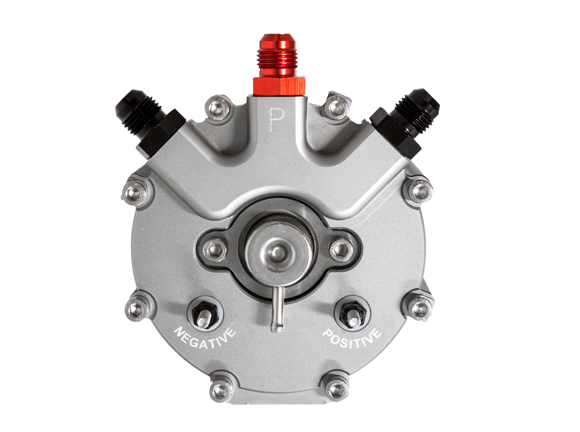 The pump in the G-Surge never gets uncovered because it receives a steady supply of fuel from your existing fuel system. The built-in regulator eliminates the need for an external regulator. 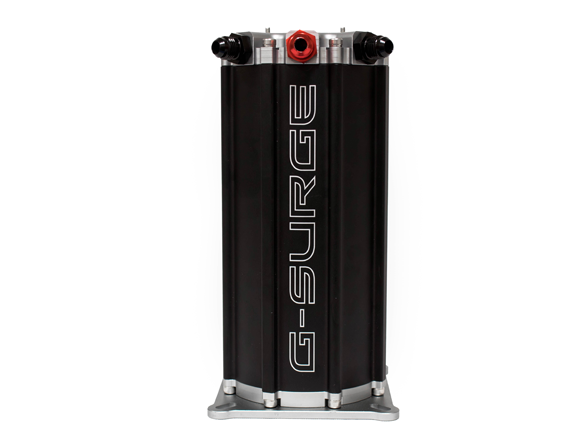 So, whether you are racing, off-roading, or just cruising, the G-Surge will keep your system supplied with a constant flow of fuel. Built-in regulator eliminates the need for an external regulator. Able to be mounted vertically or up to a 45-degree angle. Compatible with the vehicle’s existing fuel system. Precision Machined Billet Aluminum Tank. Hard Anodized and Laser Etched for durability and visual appeal. 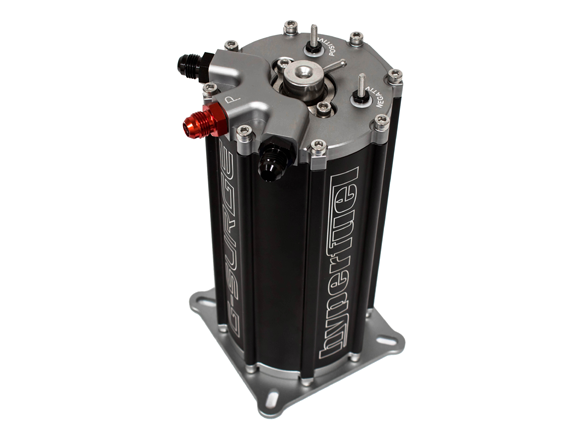 High Volume pump is compatible with any EFI system and will support up to 800 HP. -6 AN fittings and Buna-N O-rings used for easy installation and durability. Maintains a 1.5 Liter (0.4 Gallon) reservoir of fuel in the module at all times. Compatible with E-85 gasoline and alcohol or methanol based fuels.